With the release of such a device as the iPhone, the opportunity to make high-quality images. Thanks to this, you can do without a professional camera. 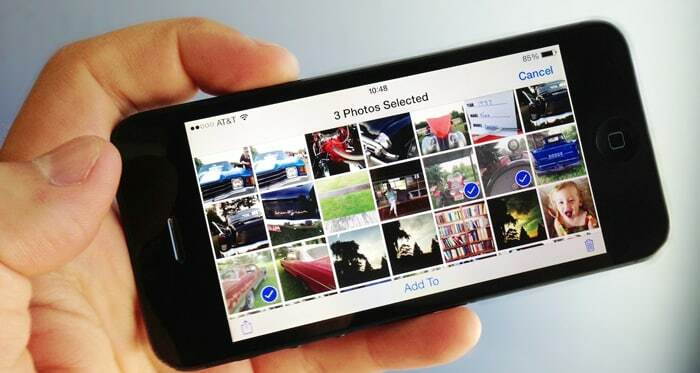 Sometimes there is a situation when you need to remove low-quality or unwanted photos. You may not know, but there are several ways to get rid of unwanted images. Click on the “Delete Photo” button. After completing the 4 item, the photo will be deleted. If you need to delete several photos, you should repeat the procedure. If you have more than 4 photos to be deleted, it is recommended to consider a method that allows you to delete several files at once. Of course, this does not mean that they cannot be removed in turn, as in the first case, it is just inconvenient. 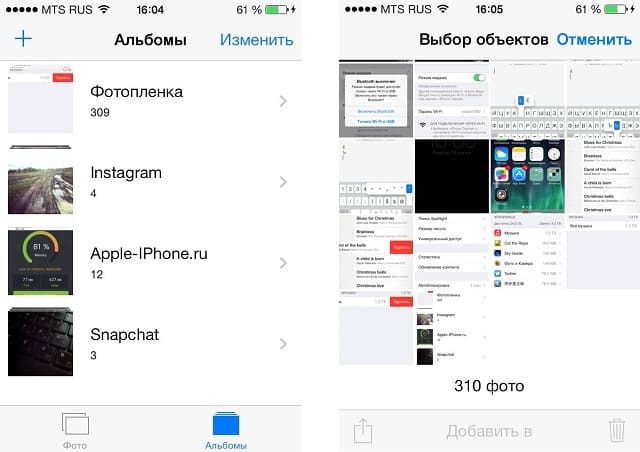 So, to remove a photo from an iPhone, you should launch the “viewer” of photos. Once the program starts, select "Camera Roll." In this mode, you can see several photos at once. Now you need to click on the button “Select” (upper right corner), and then alternately mark the images that you want to delete. It is worth noting that, if necessary, you can mark the choice of a particular photo. When all unnecessary photos will be marked, click on the trash can icon located in the lower right corner. Immediately after this, a message appears, such as "Delete 4 photos". To delete, you need to click on this button. Sometimes there are situations when you need to remove a huge number of photos from the iPhone. To do this, run the application "Photo". Once the program with photos starts, click on the "Photos" button, which is located on the panel at the bottom of the screen. If you need to move through the sections, you should click on the "Back" button. So, once in the "Moments" section, click on the "Select" button, and then select the images that will be deleted from the mobile device. Now you just have to click on the "Delete" icon. To remove the entire album, you need to confirm the operation. To do this, click "Delete Album". Since it’s easy to remove all the photos from albums, even an inexperienced person is correcting the procedure. 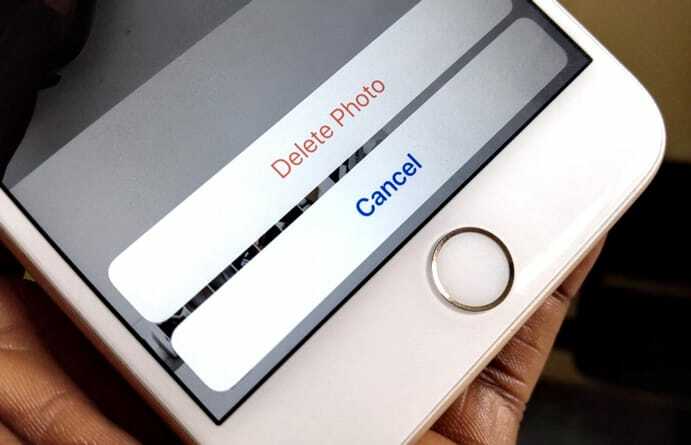 In addition to the usual ways of working with pictures, it will be useful for you to learn how else you can delete photos from an iPhone. In the event that an error or failure occurs during an attempt to delete it, we recommend that you turn to iTunes installed on your computer. Click on the “Apply” button and then “Synchronize”. 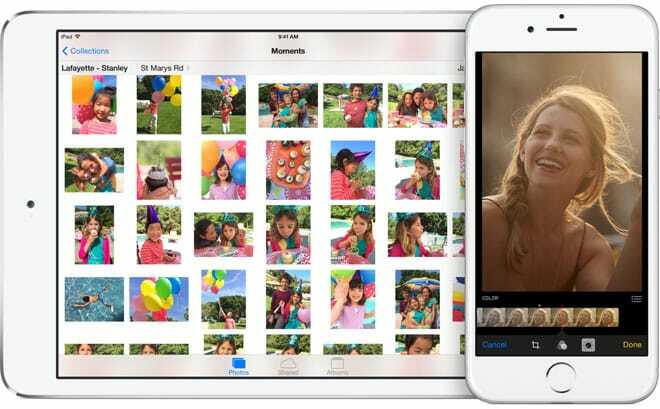 You can even delete photos uploaded from your computer via ITunes. Similar functionality is available on iPhone 4 and higher. On iPhone 4 and above when removing images from the album, the pictures remain in the "Film". 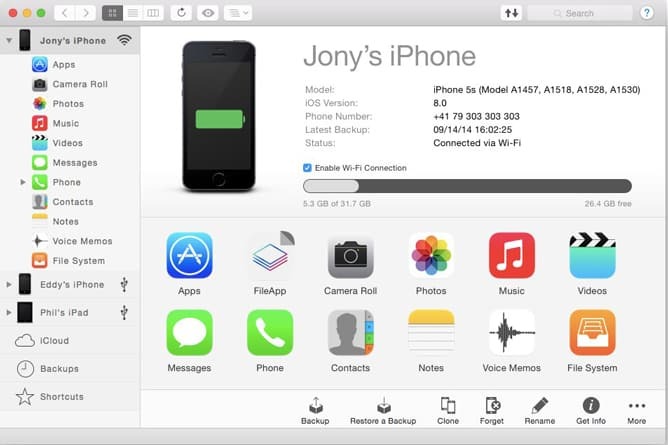 To completely get rid of the files, you need to connect your mobile device to your computer via a USB cable. During the connection, a warning message will appear. To continue you need to click on the "Trust" button. After about 3 seconds the autorun form will appear. To continue, select "Open device to view files." After that the map will be opened. iphone memory. To remove unnecessary snapshots, go to the “DCIM” folder. Inside there will be another 2 directory. Select the images to be deleted. If you want to delete all the pictures, press the key combination Ctrl + A. When all files are highlighted, press Delete on the keyboard. Remember that the deleted file can no longer be restored. Therefore, carefully select the images so that later you do not have to contact the specialists. 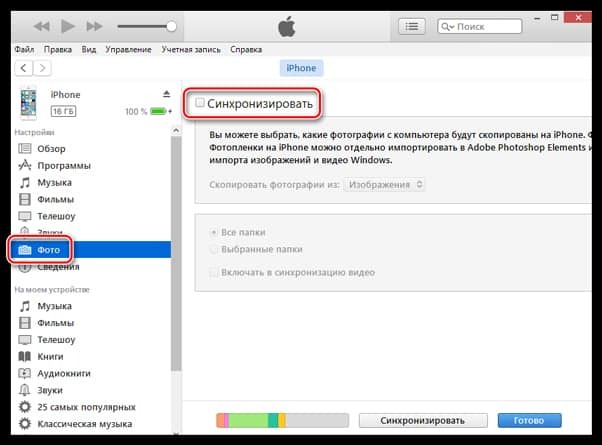 There is an opinion that you can connect to your iPhone through a computer only through iTunes. This is not a correct judgment, since there are a dozen file managers that allow you to work with documents placed on a mobile device. Click on the trash can icon located on the bottom of the screen. Remember that the erased file will not be returned anymore. 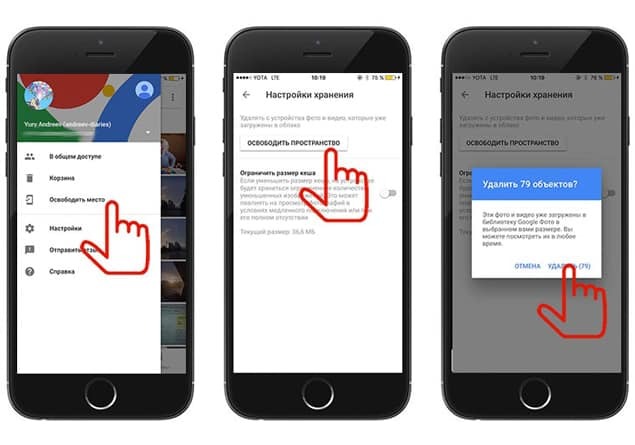 When the removal process is completed, you can disconnect your IPhone from the PC. To make it easier for you to choose the method of deletion, you need to decide in advance how many photos you need to erase. Despite the variety of methods, the most effective is the use of file managers and iTunes. If the first time did not manage to delete the image, do not worry, but simply repeat the procedure again. You may have missed one of the instruction steps.